On September 7th, Florentine children roam the streets around the Piazza Santissima Annunziata, singing songs and carrying paper lanterns—the ‘rificolone'. Florence's huge autumn organic market is held every year on September 7th, the eve of the feast of the Virgin Mary, on the Piazza Santissima Annunziata. 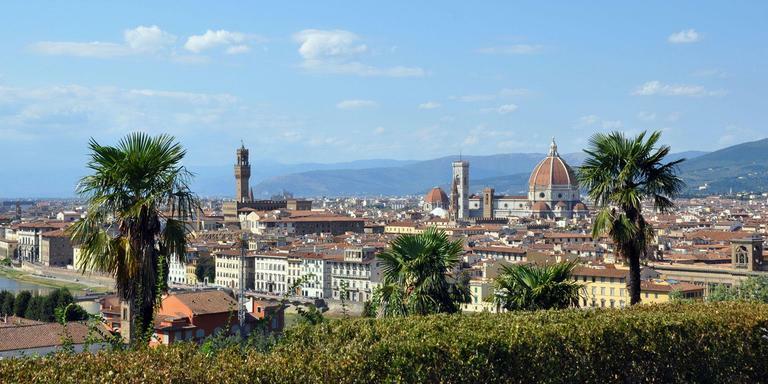 In the past, this was the day that farmers from the region, dressed in their Sunday best and equipped with primitive lanterns to light their way, set off at daybreak for Florence to sell their produce. The Florentines would make fun of them and aim at their lanterns with peashooters. Today, the tradition continues: Florentine children carry the paper ‘rificolone' in a street procession and their parents wave to them from their balconies. During the week preceding the feast, ​​theatre and music fill the streets. On the night September 7th, the Cardinal leads the procession from the Piazza San Croce to the Piazza Santissima Annunziata. His speech in the square is followed by a giant, all-night party.